The company’s first project of awnings brought functionality, technology and refined aesthetics to the outdoor world. Since 1960, Pratic has provided the widest range of sun covers, always giving them new meanings and possibilities of use. An evolution that saw its genesis with the patent of the first dome awning, designed to meet the need for shielding the sun from commercial businesses and private verandas and which today continues to be a practical, discreet solution, with timeless aesthetics. The modern Pratic creations derive exactly from this project: awnings with extendable arms or vertical drop-down, which the continuous updates of the Pratic Concept workshop have turned into the latest generation of tools for technology, design and aesthetic contribution. Advanced solutions, with smartphone or remote control to actuate lighting or movement, even automated, in case of bad weather or strong wind, thanks to the inclusion of specific integrated sensors. Pratic extendable arm or drop-down awnings can also be equipped with an elegant hermetic box that conceals the awning when closed and the electrical components inside. Furthermore, the LED lighting in the lower profile, allows you to create a suffused atmosphere, making the outdoor environment comfortable even during the evening. 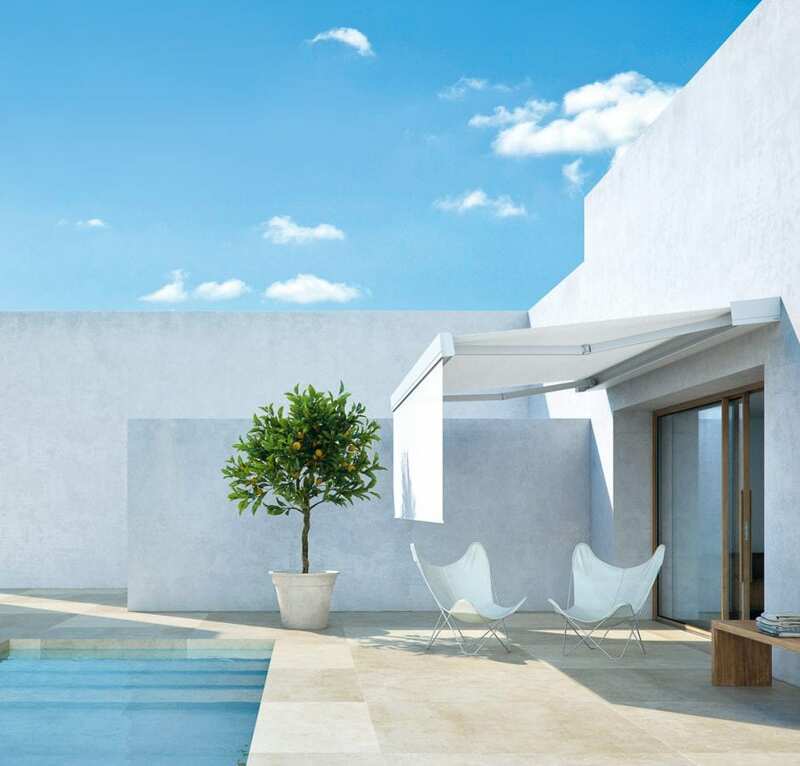 The innovations that particularly characterize T-Project, the revolutionary line of outdoor awnings composed of T-Hide, T-Code, T-Way, T-Box, T-Line and T-Square, are designed with the aim of offering excellent performing products with clean aesthetics, which have always been the hallmark of the Friulian company’s creations. Projects with a technological core where the awning becomes a design element giving life to creations of great value, from where clean shapes and quality of the materials emerge. In addition, the awnings for terraces allow you to expand the shade of your outdoor patio with elegance and functionality. 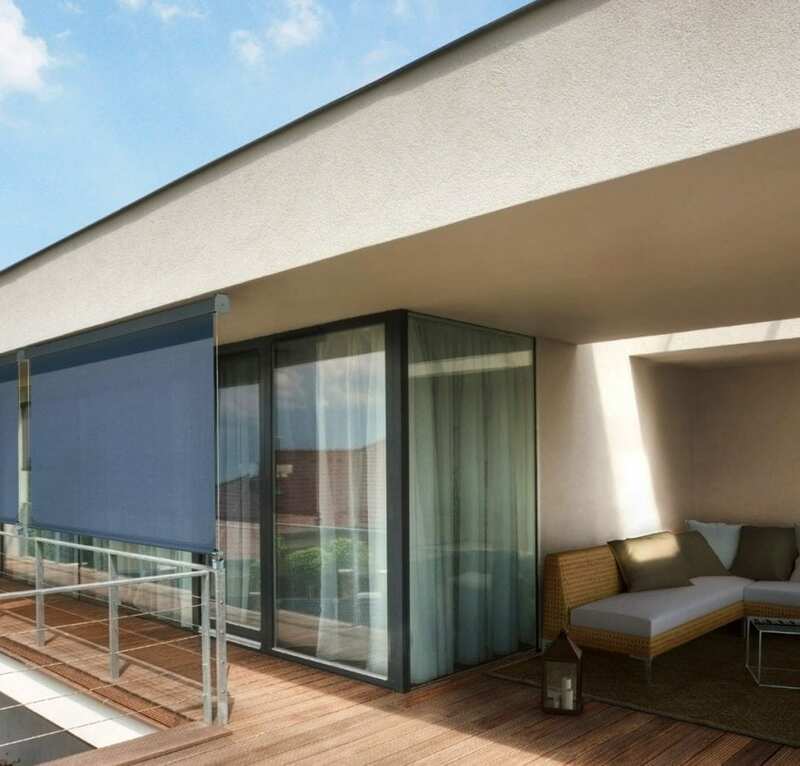 The awnings for balconies instead allow you to filter light impeccably, providing the perfect brightness for the rooms inside your home. Each Pratic awning is a custom-made sartorial project, where functionality combines with comfort and the purest aesthetics, composed of lightness and essential lines. In this perspective of extensive customization, Pratic has designed the new colour range dedicated to painting the aluminium boxes and composed of thirty warm colours with long-lasting brilliance over time. The Fabrics Collection adds to this novelty, with its rich and qualified range that includes high-performance acrylic fabrics, polyester lines and a selection of waterproof fabrics, all in the name of quality, style and the unmistakable class of Made in Italy. Perfect for creating sheltered privacy spaces, the new generation of drop-down awnings provides excellent performance in all weather conditions. The Power Spring System and Magnetic Lock System technologies guarantee perfect fabric tautness in any open position, even in the presence of strong breezes, allowing it to be rewound inside the box during bad weather or when the wind is too strong. 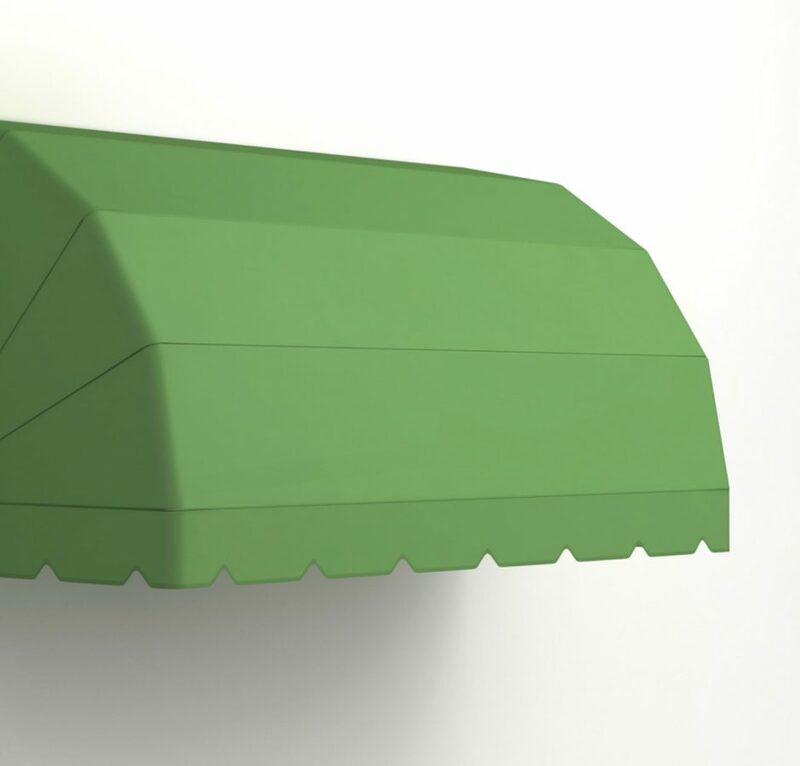 Awnings with extendable arms ensure plenty of cover from the sun and minimum encumbrance, thanks to the elegant box that contains the awning once it is closed. The movement, as well as the extension or inclination can be actuated by remote control or smartphone, which also control the LED lighting integrated in the box. An advanced solution that also withstands strong wind thanks to the patented FlexControl system. A timeless classic, champion of versatility and customization. The first dome awning was created and patented by Pratic in 1960 and is still a popular choice today for its simple and effective use, but also for its great resistance to weather. The shaping can be round or more linear, while a complete range of fabrics allows you to customize the aluminium frame, meeting the aesthetic requirements of any setting. The the awning is available manual or automated.